Anti-Frizz by YUKO is an innovative Japanese anti-frizz treatment, that will demi-permanently control frizz to make hair more manageable and healthy, so you can enjoy Honolulu’s humid environment while looking your best! Safe on most hair types! 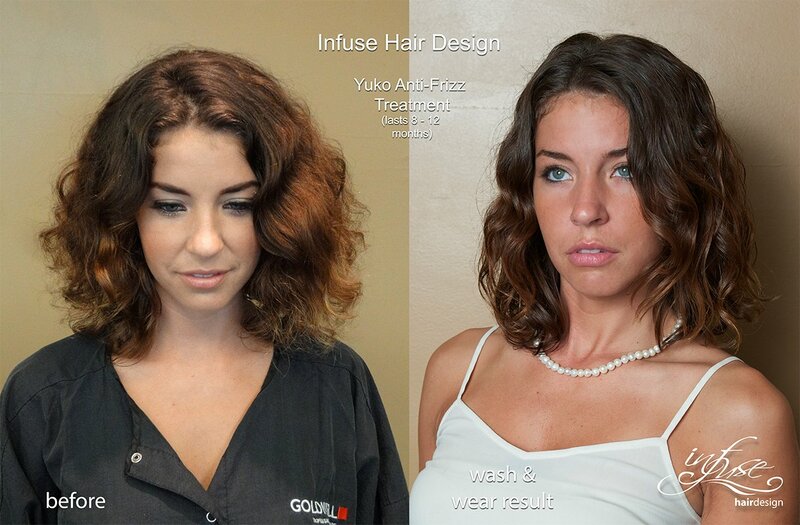 Smoothing effect lasts longer than any other system! 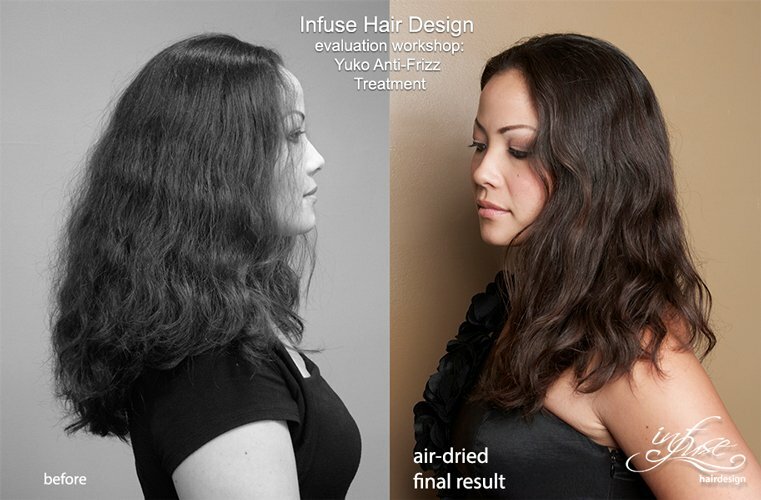 Working closely with Yuko Systems for over 15 years, Infuse Hair Salon in Honolulu, was selected as an evaluation partner, providing critical feedback utilized in creating the product developed globally. Long/thick – 350. & up. schedule your smoothest hair ever!